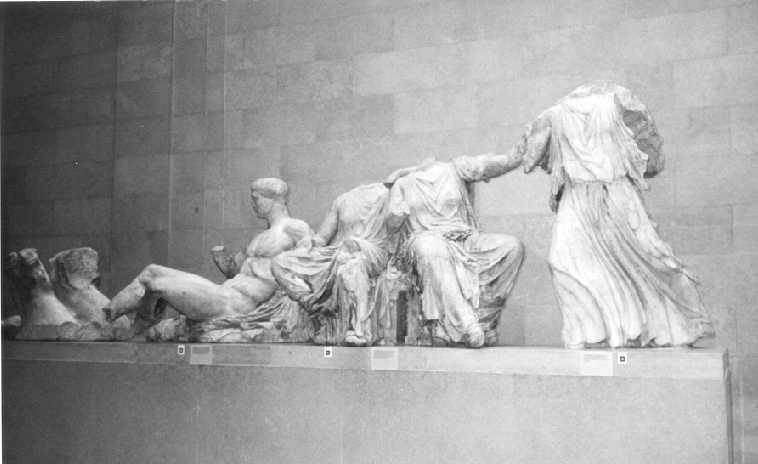 One of the places that contributed a large amount to the Museum's was the Parthenon in Athens. 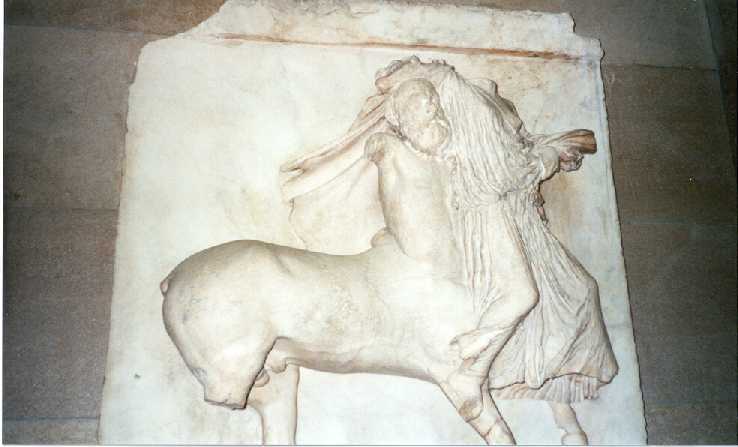 This is a part of the frieze that went all around the facade of the Parthenon. 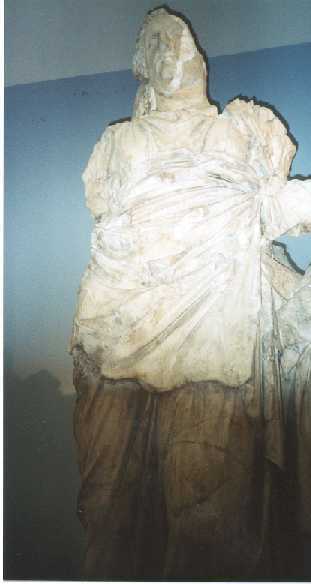 The Parthenon was a temple to the ancient Greek goddess Athena, the goddess of wisdom and war. It was begun in 477 BC. The frieze depicts a battle between Greek armies and mythological monsters. The attention to detail is amazing. 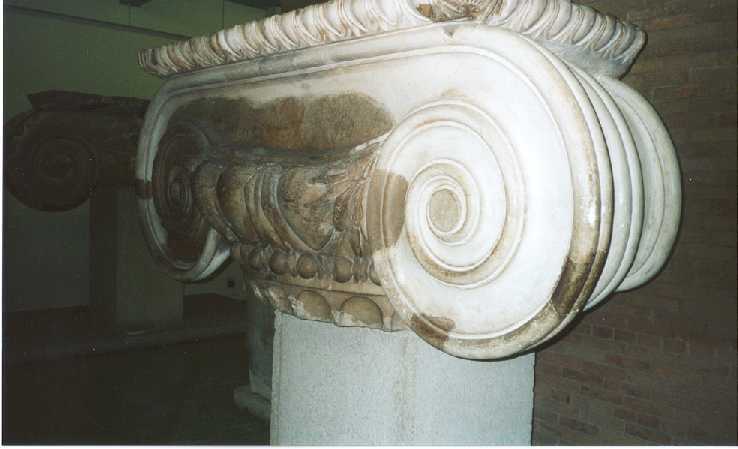 This is the top of a column from the tomb Mausolus of Halicarnassus. Mausolus was a king who had one heck of a tomb. The Mausoleum was built around 350 BC, and was one of the 7 wonders of the ancient world. 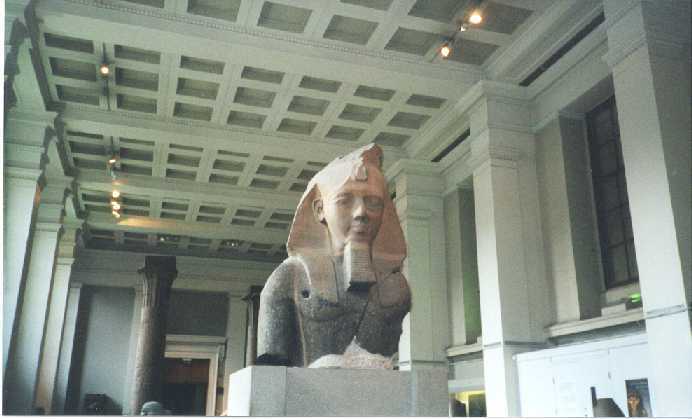 Over the centuries, the Mausoleum fell to ruin, and some of it ended up in the British Museum. 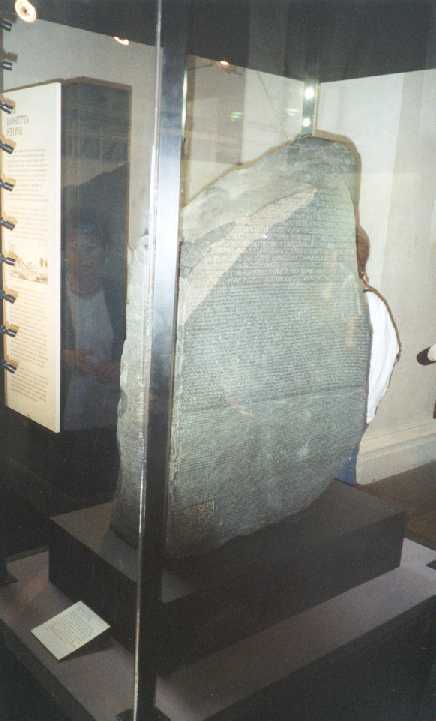 This is the prize of the British Museum's collection, the Rosetta Stone. The Stone was found in 1799 in Rosetta, Egypt by Napoleon's troops. 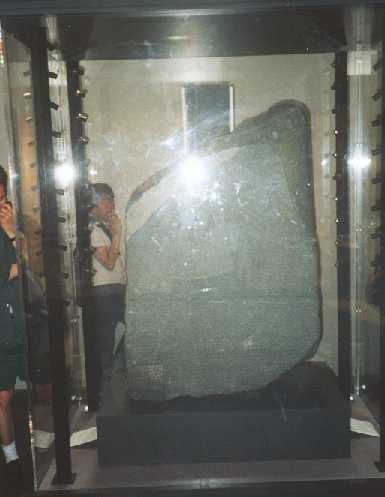 It is a slab of black basalt dating from 196 BC. inscribed by the ancient Egyptians with a royal decree praising their king Ptolemy V. The inscription is written on the stone three times, once in hieroglyphic, once in demotic, and once in Greek. Scholars deciphered the hieroglyphic and demotic texts by comparing them with the known Greek text. From this meager starting point a generation of Egyptologists eventually managed to read most everything that remains of the Egyptians' ancient writings. This statue was discovered in the Valley of the Kings in Egypt. 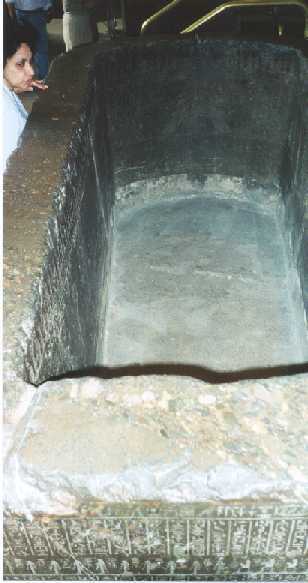 This is the sarcophagus of one of the pharaohs of Egypt. The thing about this picture is that it shows something that amazed me. Much of these ancient artifacts were right out in the open. Look at that woman on the left. She's got her hand on a 3500 year old sarcophagus! Get that off of there!